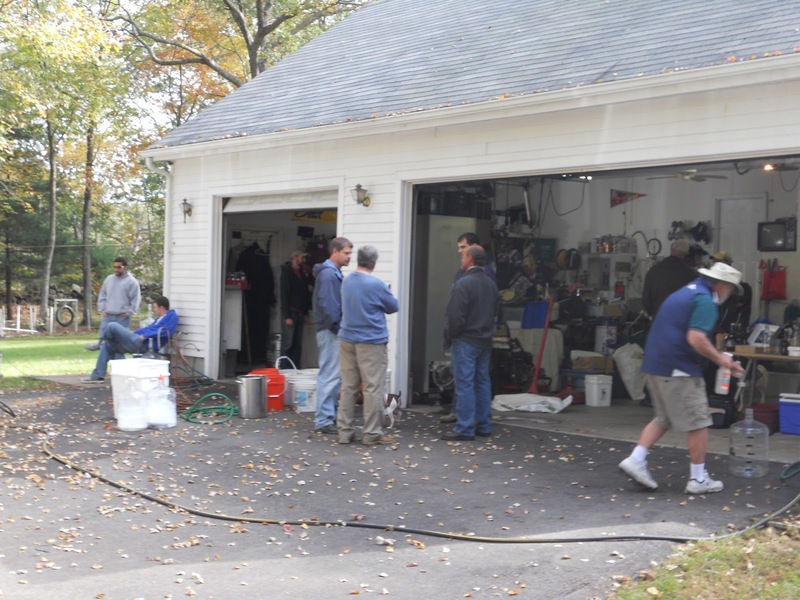 Over this past weekend, members of my homebrew club (Rhode Island Fermentation Technicians) got together for a Club Big Brew. 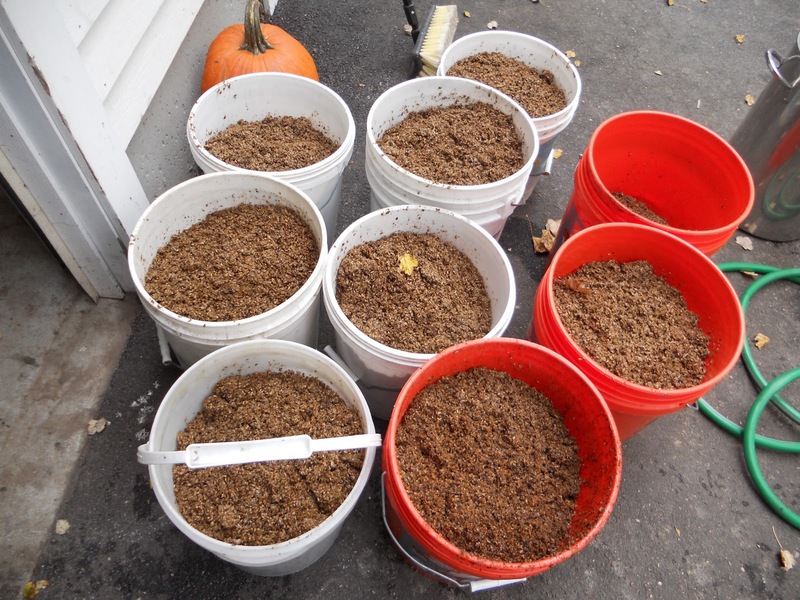 Typically, we pick a recipe, brew up 50+ gallons, and everyone goes home with a full carboy or two. 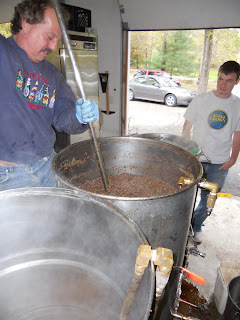 For this most recent club brew, the club picked a recipe from Lug Wrench's past: a Foreign Export Stout. About 18 months ago, I brewed this FES as part of a collaboration we did with the Mad Fermentationist. The result was an excellent stout - one that I have been looking forward to rebrew. 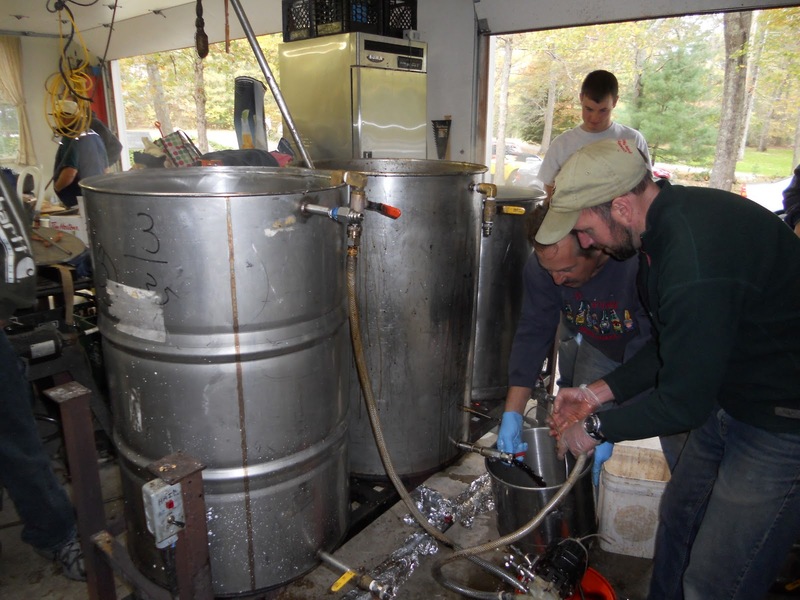 With 13 or 14 brewers taking part, we targeted 70 gallons of wort, made the appropriate substitutions, and plugged the recipe into brewing software. 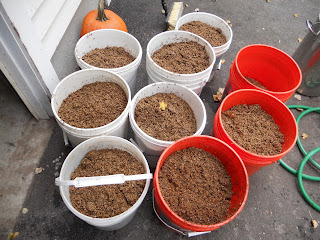 The resulting grain bill (157 lbs!) is listed below along with a few photos from the event. With the exception of fighting through a stuck sparge, the brew went relatively smoothly. Thanks to all those who attended and an extra thank you to the host (John C.) for letting us descend on his house and use his equipment.